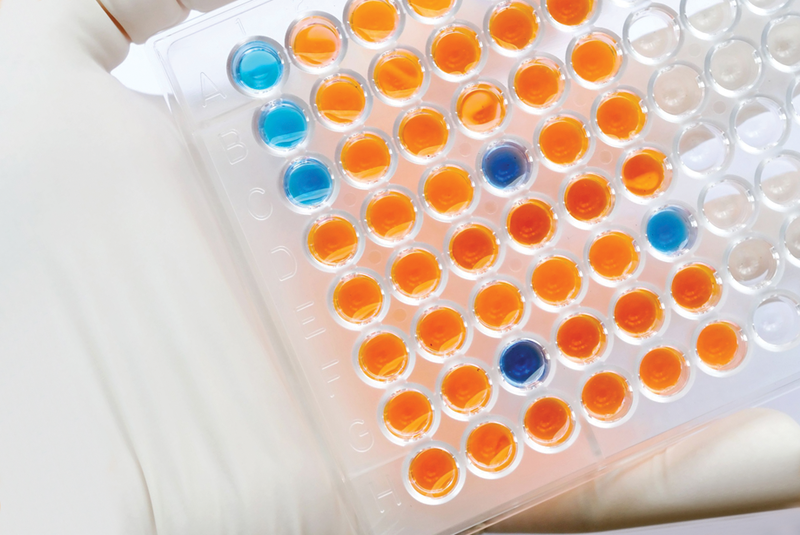 Assay kits can be convenient time-saving tools to help accelerate your research, but not all assays are created equal. Some that promise convenience fail to deliver biologically relevant sensitivity, or the reproducibility needed for long-term studies. This can cost you more time and money in the end. Whether you use an ELISA assay for biomarker detection, assess cellular function with fluorescent probes, or screen enzyme modulators with activity assays, every Enzo assay kit includes something a lot of other companies out there today can’t -- Experience. 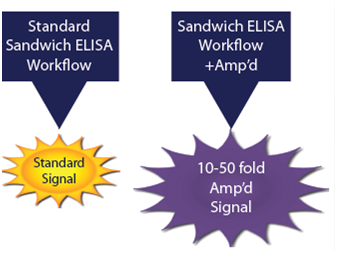 It takes more than just an antibody pair to make an ELISA assay. Building an immunoassay requires screening multiple antibodies, selection of appropriate standards and conjugates, establishing proper sample prep protocols, and validation of the assay in relevant matrices. Our expertise in developing ELISAs is further backed by two decades of manufacturing excellence. Strict validation criteria and state-of-the-art manufacturing facilities deliver reproducible assays that continue to be cited in peer-reviewed publications by scientists around the world. The graph above demonstrates the robust nature of our assays, showing standard curves for 7 lots of our competitive ELISA for cyclic AMP manufactured over 3 years. Do you want to know more about ELISA? 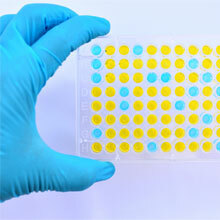 Sensitive ELISA Assays for measuring PEGylated Proteins and detecting residual Protein A contaminant. 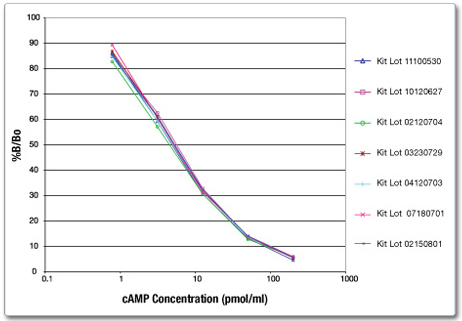 The most sensitive colorimetric ELISA Assays for detection of cAMP and cGMP, key second messenger signaling molecules. 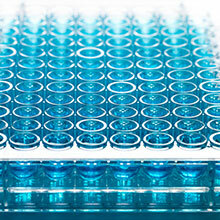 Over 100 sensitive ELISAs for immunology & inflammation research. 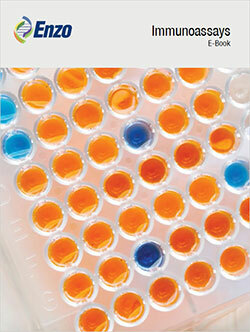 The definitive collection of Stressgen® ELISA Assays for heat shock. 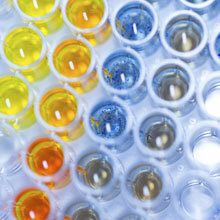 Biomarker assays for assessment of response to toxic compounds. Sensitive ELISAs for the detection of steroid and hormones. Assays for critical Wnt signaling components GSK-3beta, Dkk-1, and β-catenin. Oxytocin is a neurohypophysial peptide which is produced in the paraventricular nuclei of the hypothalamus and stored in the posterior pituitary. A hormone once thought to be limited to female smooth muscle reproductive physiology, more current findings have determined that oxytocin also functions as a neurotransmitter, may be involved in neuropsychiatric disorders, social/sexual behavior and is important in male reproductive physiology. Oxytocin and the related neurohypophysial peptide, Arg8-Vasopressin, maintain renal water and sodium balance. 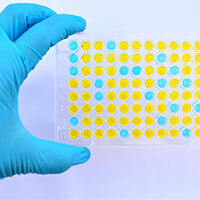 Understanding the basic principles of immunoassays is easy. The essential components of antibody-based immunoassay systems are threefold: an antigen to detect and perhaps quantitate; a specific antibody to this antigen; and a system to measure the amount of antigen in a given sample. Although it appears to be a very simple system, in many cases a number of other assay materials are necessary to allow for quick and convenient measurement. Immunometric assays, also known as sandwich ELISAs (enzyme-linked immunosorbent assay), use two antibodies specific to the antigen to capture or "sandwich” antigen in the well for detection. Immunometric assays exhibit a direct correlation between antigen concentration and substrate response. Immunometric assays typically employ a "capture” antibody coated on the plate to bind the antigen of interest. During a second incubation, the antigen is bound by a second "detection” antibody that is also specific to the antigen. The detection antibody can either be bound by a secondary antibody-enzyme conjugate, or the detection antibody itself is enzyme-conjugated. When chromogenic substrate is added to the assay to develop color, samples with high antigen concentration generate more signal than those with low antigen concentration, producing a signal directly proportional to the amount of antigen in the sample. This correlation can then be used to extrapolate the concentration of antigen in an unknown sample from a standard curve. In competitive enzyme immunoassays (EIA) the antigen in a sample competes for limited antibody binding sites with antigen conjugated to a reporter enzyme. This produces an inverse relationship between antigen concentration and substrate turnover. Competitive EIAs typically use a single antibody to a small molecular weight antigen, generally less than 10,000 Daltons. During incubation, samples with high antigen content result in unlabeled antigen being bound in greater amounts than conjugated antigen. When chromogenic substrate is added to the assay to develop color, samples with high antigen concentration generate a lower signal than those containing low antigen concentration, yielding the inverse correlation between antigen concentration in the sample and color development in the assay. This relationship can then be used to extrapolate antigen concentration in an unknown sample from a standard curve. This type of reaction is one of the few methods possible for small molecular weight antigens, such as steroids, drugs, lipids and peptides. Reliable detection of analytes that are present at low concentrations is a critical need for early diagnosis and treatment of various diseases. Enzo Life Sciences has developed a highly sensitive ELISA Amplification System to be used with your most difficult-to-detect markers.